The Paa, also known as the Afawa, inhabit the banks of the Bunga River, which lies in Nigeria's northern Bauchi province. The Paa claim to have migrated westward from Borno to a town called Wushi several centuries ago. Many of them were driven into the Ningi Hills where they made their headquarters in the fertile lands of Ari. Today, the Paa are found throughout various districts, including Ningi and Ganjuwa. The Paa live among the Warji people, sharing similar language, culture, and religious beliefs. In fact, many consider the two groups as one. They are also surrounded by two devout Muslim groups, the Hausa and the Kanuri. For this reason, Islam is slowly seeping into the cracks of the Paa's traditional culture. 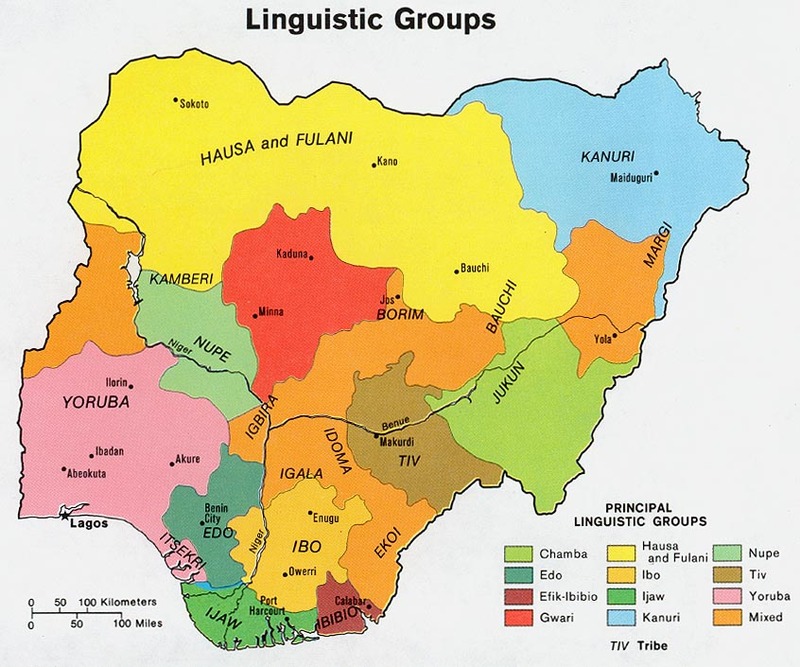 In addition, their own Chadic language is slowly being replaced by the Hausa language. The Paa located in the rural regions have poor roads, no health care facilities, and do not encourage their children to attend school. Most of the Paa are farmers. Their primary crops are guinea corn and millet. Groundnuts, beans, onions, okra, and peppers are also grown. Although some hunt and fish on a small scale, trade has become increasingly more important due to the influence of the Hausa. Others have become blacksmiths or craftsmen specializing in dyeing cloth and making string curtains from bark. The Paa live in compact, walled towns that are usually located at the base of hills. The towns are divided into wards or clan lineages, and the eldest male of each one is its head. Each ward has two "clubhouses" - one for the elders and one for the youth. These are places where the groups gather and socialize. In the past, a chief, who was also a priest, was the overall ruler of the Paa. Today, the Chief of Tiffi is the only remaining village head, and the Emir of Ningi is the highest authority. Traditionally, Paa marriages are arranged by the parents. Because more than one set of parents may want their sons to have a particular girl as a wife, there is much competition between suitors. Once the young man is chosen as the groom, he has the duty of helping the girl's family with farm work. He is also required to pay a bride price consisting of guinea corn and fish. There is no official wedding ceremony. Instead, after a year of farm work is completed, the man may take his wife home. The initiation rite into manhood is very important for the Paa. Boys between the ages of nine and eleven must have their heads shaved. Afterwards, they are taken to a shrine in the forest to be circumcised by the priest. They are then offered fowl and beer, and are taken to spend the night in the priest's house. The dodo, a masked image that represents a family ancestor, comes to scare them during the night to test their bravery. Afterward, dancing celebrates the boys' entry into manhood. Although a minority of the Paa have embraced Islam, most still follow their traditional ethnic beliefs. Worship of clan ancestors and idols is the basis for these beliefs. Offerings are made to the ancestors at special shrines. During times of trouble, sickness, or disaster, the chief/priest climbs the hills near Tiffi to offer animal sacrifices. Each year, the Paa celebrate the harvest thanksgiving festival and make animal sacrifices to the family spirits. Eating, drinking, and masquerade dances follow the sacrifices. The Paa are also known for their rain-making magic. Elders pour the blood of chickens into the sacred grove of the forest, while women beat drums outside the village. Soon-before the procession reaches home-it begins to rain. Very few Christian resources are available in the Paa language. Additional Christian laborers and evangelistic tools are desperately needed. However, intercessory prayer is the first step toward reaching the Paa with the Gospel. * Scripture Prayers for the Pa'a, Afawa in Nigeria. * Ask the Lord of the harvest to send forth additional long-term laborers into Nigeria to work among the Paa. * Ask the Holy Spirit to grant wisdom and favor to missions agencies focusing on the Paa. * Ask God to make the way for the Gospel to be broadcast in their area. * Pray that God will give the Paa believers boldness to share Christ with their own people. * Ask the Lord to bring forth a strong and growing Paa church for the glory of His name!